A lightweight grab-and-go pack that's designed to stay put when loaded-up heavy. 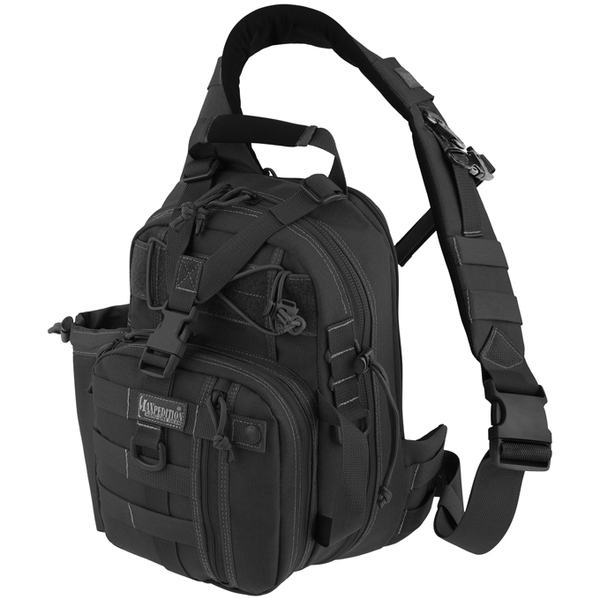 The #0431 SITKA™ GEARSLINGER®'s little brother has main and front compartments that include multiple organizational pockets to separate your gear and conveniently store your CCW. The Noatak also has a built-in zippered compartment to accommodate a 50oz/1.5L hydration reservoir and a side cinch pouch fitted for Maxpedition 32oz/1L wide-mouth Nalgene bottle (sold separately). It's the perfect Gearslinger for light hikes and cycling trips.